Another science fiction book made it on CSReview, a picky blog by a picky host. And maybe that’s why you can trust the quality of stuff that gets posted here. 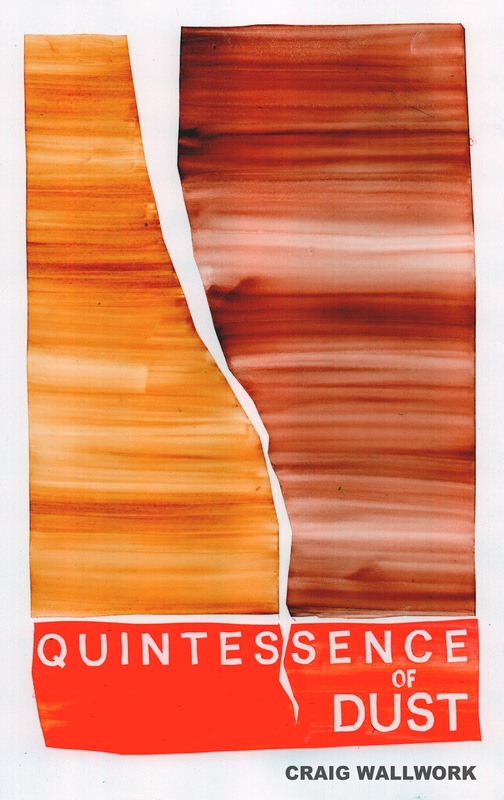 Quintessence of Dust is a great book. Why? Oh, didn’t I tell you – it’s sci fi! But not all sci fi is great, I might hear back from you… See, Craig Wallwork is an awesome gifted writer – he makes things happen on pages of his book. It’s an amazing feeling – to dive into a story, experience things, get out and dive into another one. A different world all together each time, but human connection makes it all somehow linked together. Science fiction today is not so much of a fiction anymore – it’s mostly a projection of today’s reality onto the possibility of things in the future. A space elevator is going to be built because a bunch of guys got together and collected funds for the project. A rover lands on a planet and sends back incredible footage. A man-operated interplanetary mission is about to happen… we won’t notice when it does, I promise. Time flies. This is how Quintessence of Dust feels – time flies. Ernest Hemingway wrote symbols into his fiction – which was much of a reality anyway. In that Craig Wallwork’s style reminds me of Hem. I did not expect this effect when I first browsed through the book. Honest. But then, after reading it one more time, attentively and tasting every sentence, it sort of struck me. And oh the sence of humor! I love it when authors dare to say what they want to say and do it with a grin on their faces, and they know that we, readers, will respond to that just the way they expect. And there they have us, right in the spot they want us to be – smiling, giggling, mumbling something to ourselves in confirmation of what we’ve just read… And looking into the future, and meeting some funny talking characters…. Craig Wallwork is a very attentive writer who just likes to go into details to make us not only visualize the events in his stories, but also feel, smell and literally taste stuff in them – and that’s what makes this futuristic collection so real, so within one’s reach. Well, folks, this ain’t an ordinary review, I am sure you’ve picked that by now. Craig Wallwork takes you on a fun ride, uses familiar notions and categories, but builds an insanely wonderful, playful, very psychological and fine web of images that impress and stay with you for quite some time. And that, is forever.